From Florida, up to Michigan and California over to Vermont, DiscGolfPark TeePads are gaining popularity. While the United States is playing catchup in the TeePad game, Europe has been ahead of the curve for years now. 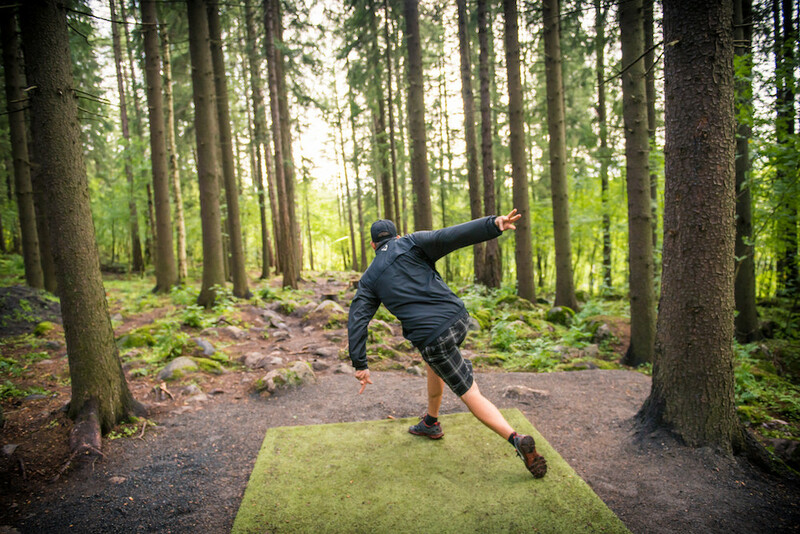 Turf is the standard teeing surface in Europe, with well over 500 courses utilizing the DiscGolfPark version. Most players will tell you that they would prefer to tee off from a flat, grassy area. Doing this not really possible, as many courses are not located in flat, grassy spaces. Even if a natural teeing area is used, erosion can quickly become a negative factor. A course with no TeePads will quickly turn in to a gnarly mess of mud and ruts. The best option available is turf. We spent quite a bit of time searching for the right turf to use for our TeePads. We’re confident in our selection, as we’ve watched these TeePads hold up over the last 10 plus years in Finland’s harsh conditions. The 3/4th inch turf length has just the right amount of grip to keep you confident in nearly any conditions. 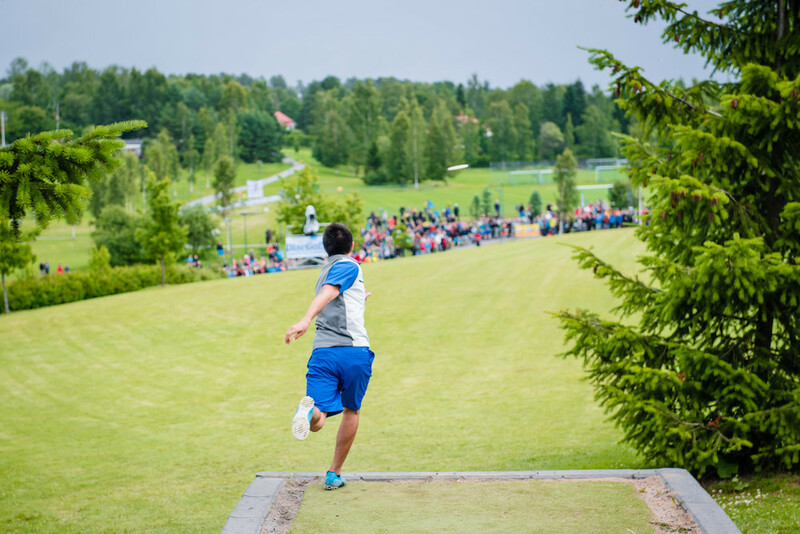 DiscGolfPark TeePads have been used in countless major disc golf events across the world. Most recently, the Las Vegas Challenge featured 54 brand new DiscGolfPark TeePads. Looking forward to the 2018 World Championships, Fox Run Meadows at Smugglers Notch Resort in Vermont has 18 beautiful DiscGolfPark TeePads. 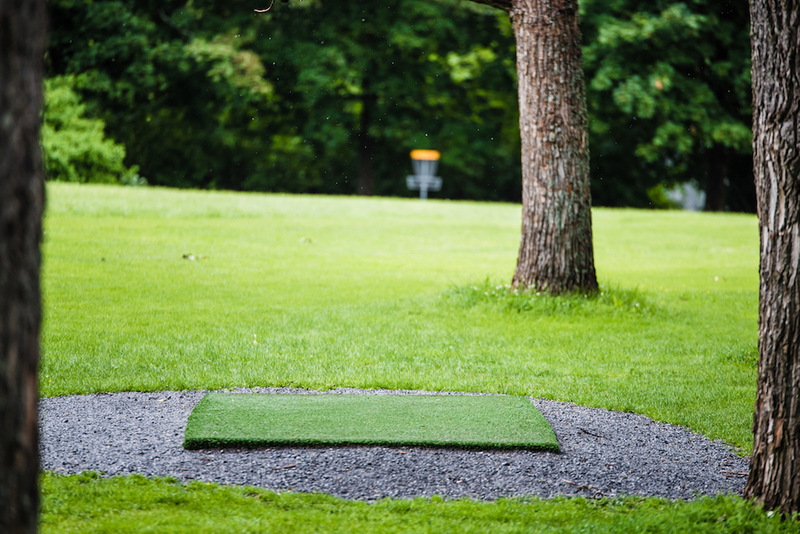 Also the new European PDGA Major – the Konopiste Open 2018 – continues to use DiscGolfPark TeePad and other DiscGolfPark equipment. Part of the allure of playing disc golf is being out in beautiful outdoor spaces. A cold, concrete slab in the middle of a beautiful park can be an eye sore, sticking out like a sore thumb. On the contrary, the green of a DiscGolfPark TeePad looks like it belongs. 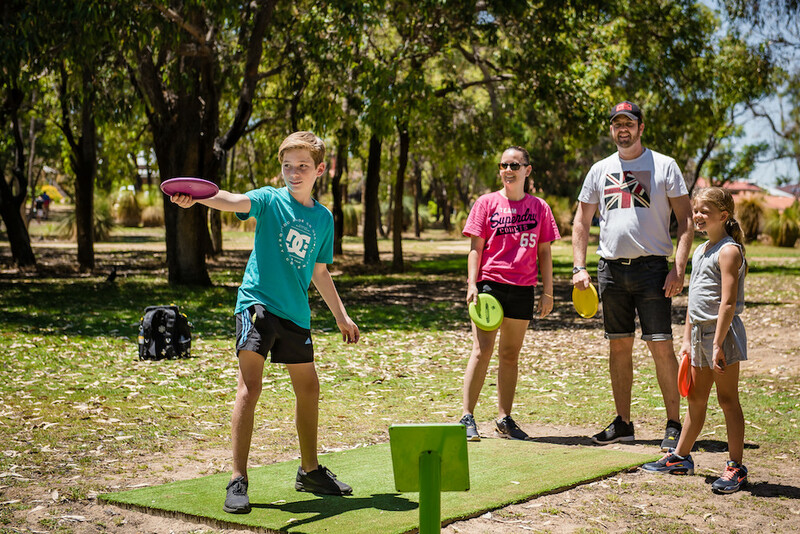 Read more about DiscGolfPark TeePads here.